This week ASAP Director, Nerissa Chao, is attending an IUCN Red Listing workshop for Freshwater Fishes in the Sunda region. For the entire week, experts are discussing and reviewing the status of freshwater fish species. But why is this important, and what does IUCN Red Listing lead to? According to Mittermeier et al., 2010, freshwater ecosystems cover an estimated 0.8% of the world’s surface, yet support up to 12% of the world’s known species. Despite this rich biodiversity, freshwater inhabitants are generally not a conservation priority. Freshwater fishes currently make up nearly one quarter of all ASAP species. There are at least 48 species of freshwater fish in Southeast Asia that are considered to be just one step away from extinction in the wild. A large proportion of these are endemic, and/or restricted-range species. 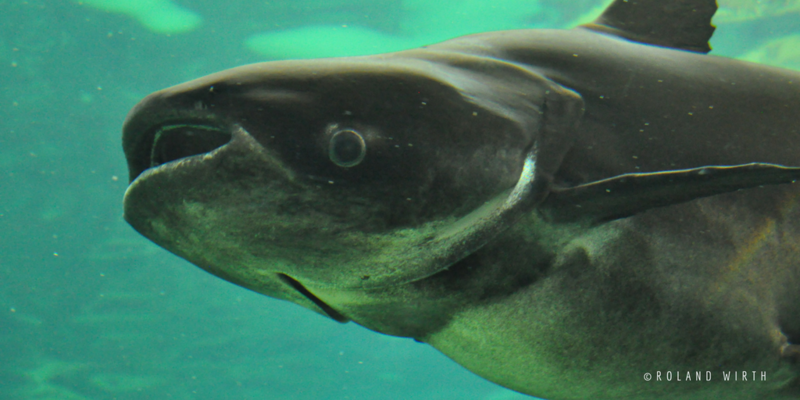 However, freshwater fish is the group of ASAP species that the least is known about. Of the 48 species listed as Critically Endangered, more than 50% were last assessed over a decade ago, many in 1996. Many other species have simply never had their conservation status assessed. There is a real concern that many species needing focused conservation effort and attention are falling through the gaps. This is why we are involved in this particular IUCN Red Listing workshop. The IUCN Red List of Threatened Species™ (IUCN Red List) has grown over the last 50 years to become the recognised global source of information on the status of living species. Many thousands of experts from around the world have contributed to assessments. The data is used widely, informing government decisions and conservation activities. ASAP Partner Synchronicity Earth recently wrote a wonderful ‘Insight‘ piece, which explains what the IUCN Red List is, and why it is so important. Without the IUCN Red List, we simply would not be able to measure the level of biodiversity loss currently taking place. We would not know where to direct conservation efforts. This is the case for the ASAP region freshwater fishes. Relatively little is known about this class of species, and new species are being described regularly. 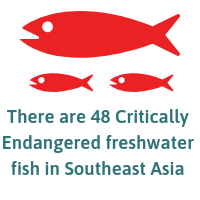 Many freshwater fish species in Southeast Asia lack data and are listed as Data Deficient on the IUCN Red List. To add to their woes, freshwater fishes are generally seen as lacking in charisma. We tend to think of them as those grey slimy things in the river. Many have also only been given scientific names, all of which makes their appeal to funders and the public more challenging! So this week, more than 20 experts in freshwater fishes are gathering at Wildlife Reserves Singapore (WRS). ASAP is a co-organiser of the workshop, alongside IUCN Freshwater Biodiversity Unit, IUCN Conservation Planning Specialist Group (CPSG) and WRS. The workshop is supported by Toyota Motor Corporation who, in partnership with IUCN, aim to significantly increase knowledge on the extinction risk of more than 28,000 species, including all freshwater fishes. The experts are assessing the conservation status for freshwater fish species in the Sunda region. Their combined knowledge will be pooled into the IUCN Red List. But the workshop is two-fold. Importantly, a conservation needs assessment will be carried out, led by CPSG, identifying priority conservation actions. It is the latter that is of particular interest to ASAP, as our role is to take those suggestions and turn them into delivered conservation. ASAP sees freshwater fishes as a strategic priority for the next five years. If your organisation works on freshwater fish conservation in Southeast Asia, and is interested in becoming an ASAP Partner, get in touch. Next: 2019 DICE MSc Scholarship – Apply now!